When you’ve just become the top movie subscription service in the world, you don’t raise rates without explanation. That comes off as greedy. And if you’re going to apologize for that mistake, try not to announce that you’re splitting your company in half and renaming half of it Qwikster. These actions will lead to 800,000 subscribers jumping ship and send your stock price tumbling from more than $300 a share to about $87 bucks in a couple months. So what’s next for Netflix? 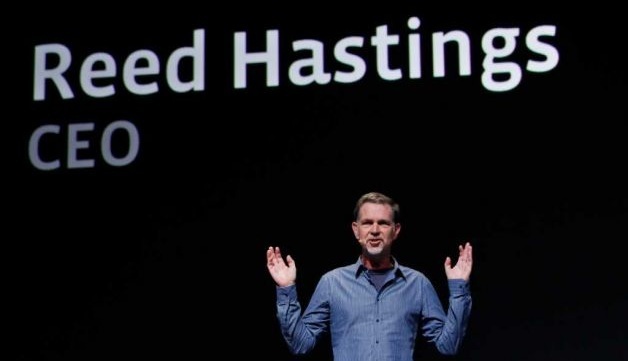 Well, according to CEO Reed Hastings, it’s more problems. Just as we pointed out way back in February, Netflix is just now realizing that it has a problem: its business model is too limited. Without being willing to charge users extra or include ads in programming, it can’t own stream all movie and TV show content (like it does DVDs). The movie and TV studios are beginning to charge an arm and a leg for content. In a way, Netflix is at the mercy of these companies. If they decide not to sell it content, Amazon Instant Video, Hulu, or any other upstart service could easily take over the top spot. Amazon especially, has already built a fairly extensive library of films. Hastings has a solution though: Less content, more exclusivity. His plan is to become like HBO and buy up exclusive streaming rights to really good TV shows and movies. Netflix will even produce its own content as well. The risk with this new strategy is that people really have to like the smaller amount of exclusive shows. The first TV show Netflix will produce is called House of Cards and is produced by Kevin Spacey. We have to say, it seems odd that Netflix is refusing to do what could be a very good option: add in streaming rentals for new movies and TV episodes. No, people don’t like paying extra, but they like getting what they want when they want it more.